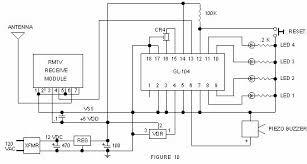 Main purpose of this lecture is to presentation on Decoder applications. A decoder is a mechanism which does the overturn procedure of an encoder, undoing the encoding so that the actual information can be retrieved. The similar technique used to encode is generally just reversed in order to decode. Here explain four types of Decoder applications: Microprocessor memory systems (selecting different banks of memory), Microprocessor input/output systems (selecting different devices), Microprocessor instruction decoding (enabling different functional units), and Memory chips which enabling different rows of memory depending on address.